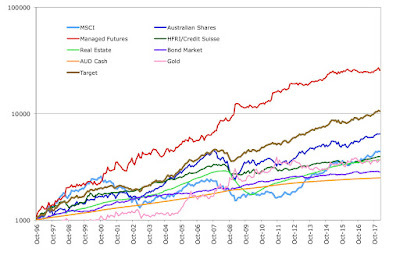 Here the target portfolio is 25% international shares (half hedged into Australian dollar and half not), 25% Australian shares, 25% managed futures, and then 5% in each of real estate, bonds, cash, gold, and hedge funds. Then the whole thing is geared up a bit with borrowing. It performs pretty nicely over various historical periods. 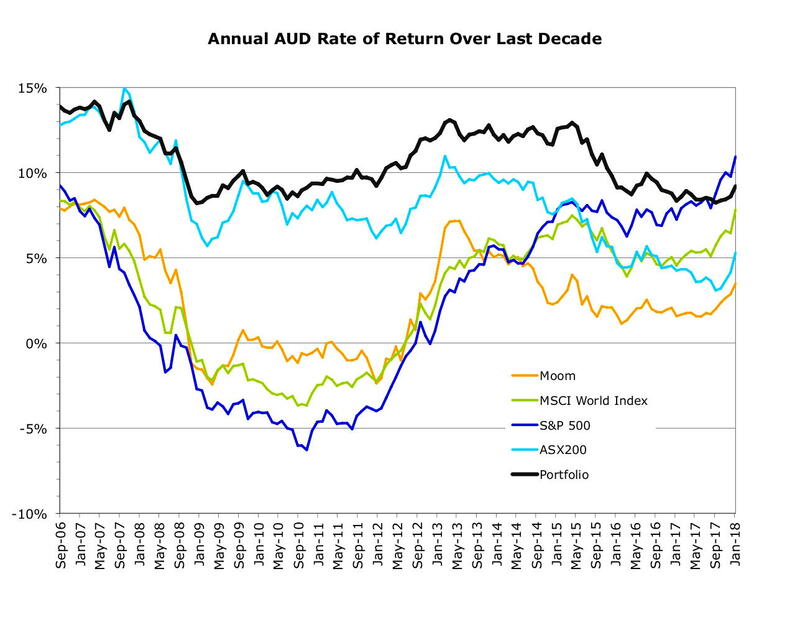 Here we see that such a portfolio clearly dominates in the long-run over regular stock indices or my own performance, which has not been good over a ten year period recently. 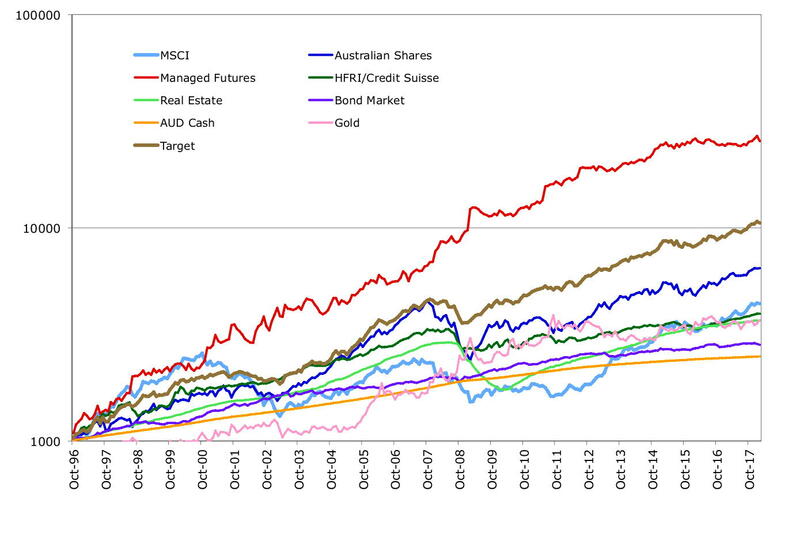 The graph also shows how the performance of the Australian stock market has declined. 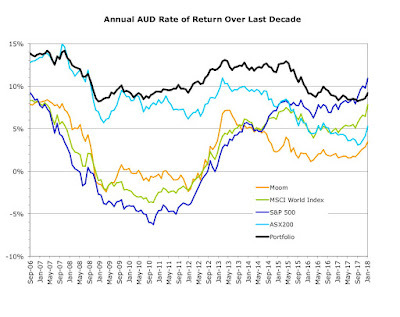 It had very high ten year returns prior to the crisis, but now has lower returns than international shares over the last ten years. I have been moving in the direction of the optimal portfolio by diversifying out of Australian shares and buying managed futures, but it has been too slow so far. 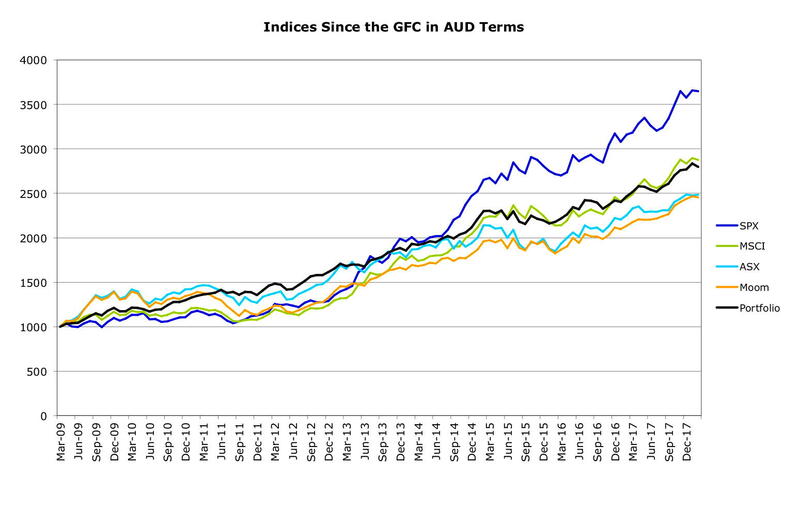 In the last few months I have been buying $A10k of managed futures each month. I also allocated more to international investments when I reinvested my CFS superannuation fund in their wholesale funds.